Playing with 3D imagery. 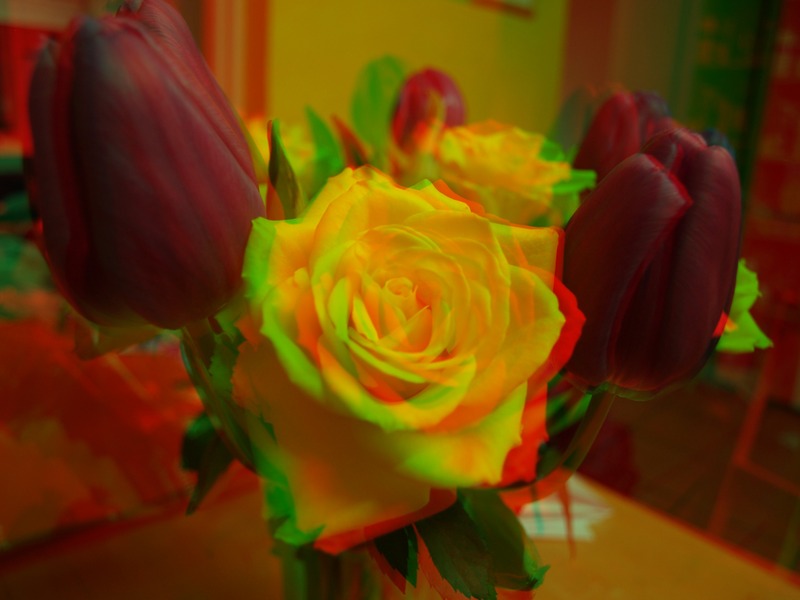 Here’s a bunch of flowers my boyfriend got me for my birthday, but IN 3D! (Sorry, I’ve got far too giddy over this..) You’ll need Red and Cyan glasses to view it! I guess you will want to put a twitter button to your website. I just marked down this blog, but I must make it manually. Simply my advice.